It was a beautiful, sunny day, and it seemed foolish not to go out and enjoy it. I’ve been wanting to get out on a hike again before the season ended, so I gladly seized the opportunity to do so before the snow falls. I had solicited for some suggestions on Twitter, and a virtual friend came forward with an excellent idea. I took her suggestion and headed out on the bright afternoon to enjoy a few last moments on the trails before winter. 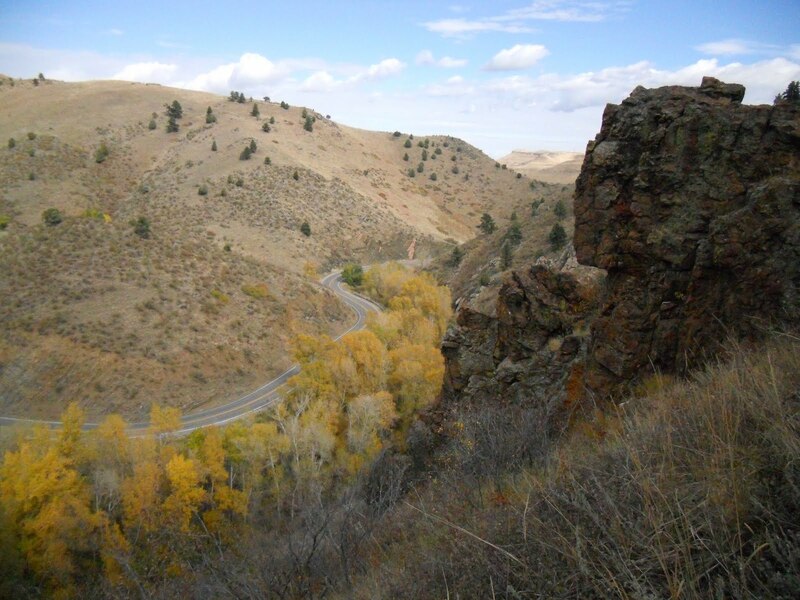 But before I even made it to the trailhead, I found myself sold on the product; the short drive I took up Golden Gate Canyon Road was an appetizer of the scenery that was to come. I knew there was no way this suggestion could be a bad one, and that I was in for a real treat. The trailhead, which is going to be closed on Tuesday, October 27th, according to their website, for paving operations, was packed. Luck was on my side, though, since I arrived just as another hiker was pulling out. It was the only spot that was open, so I wasted no time in snagging it – cutting off a pedestrian in the process, too. I grabbed a few necessities – like water – out of my car, and started up the 1.3 mile-long Cedar Gulch Trail on my way to the Mount Galbraith Loop Trail. Instantly I was met with beautiful fall colors from the base of the canyon. And as I climbed the sometimes steep trail to the 1.6 mile Galbraith loop, I enjoyed even more spectacular views of the canyon below. But all of it was a wash to what I would see on the west side of Mount Gailbraith. 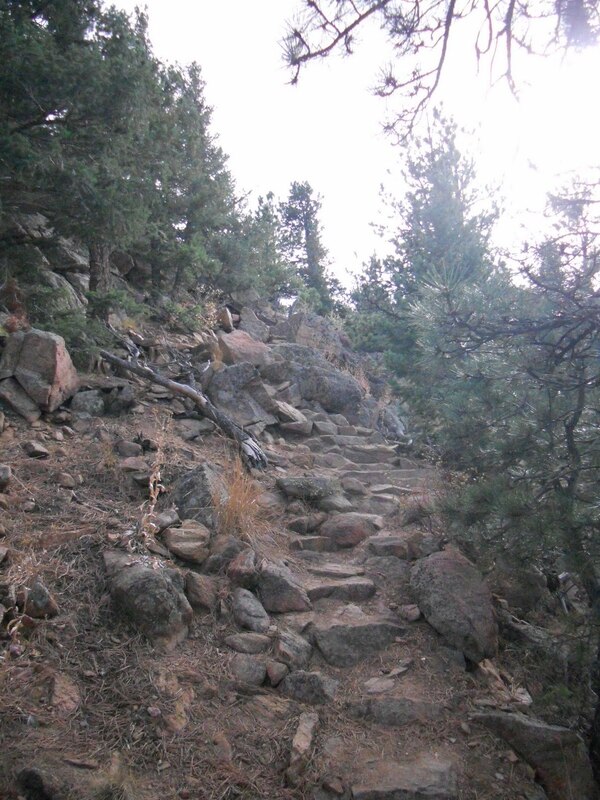 Since I hadn’t been out on many hikes this past summer, I was sucking wind by the time I got to the intersection of the two trails, along with a third one from a nearby neighborhood – Nightbird Gulch Trail. I took a quick breather, chugged on some apple juice, and took a right. I climbed north on the mountain, sometimes on a trail solely made of rocks, and was greeted with an amazing panorama as I came around to the west. The views up Golden Gate Canyon towards the Continental Divide were simply stunning. I took a few moments at about 7,200 feet above sea level, nearly one thousand feet above whe re I started, to enjoy what I was seeing before continuing on the trail through the pine and pinyon trees. Occasionally I passed another hiker or two, nodding a winded hello in the process, but generally I had the trail to myself. And that was just how I wanted it. I reveled in the solitude and quiet of the trail, and drank in every moment I had to connect with my surroundings. The loop cut back southwest before taking an almost straight easterly route. In Colorado the views east are usually snubbed to those of the west, but I found the overlook of Golden, downtown Denver far off in the distance, quite as enjoyable. I loved seeing the vast expanse of the Denver metropolitan area in front of me, with an even greater High Plains beyond. The loop ended all too soon. 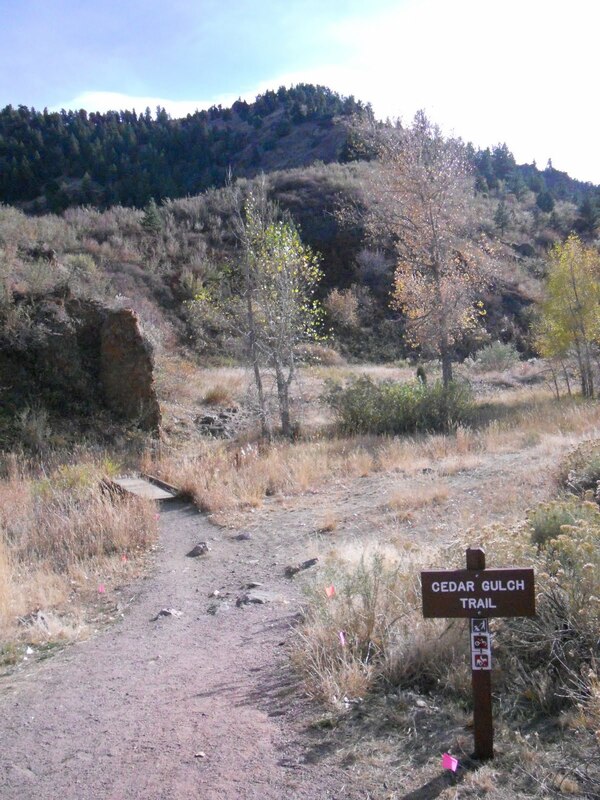 I began my descent to the trailhead, once again on the Cedar Gulch Trail. By the end of it, I had hiked over four miles in a brilliant afternoon, and was thirsty for more – the day was too nice not to want to continue. But since clouds appeared to be rolling in, my better judgement took over and I decided to stop, promising to return on another day. After all, I had squeezed in one more hike before the winter snow falls, and on a trail that’s an instant favorite.